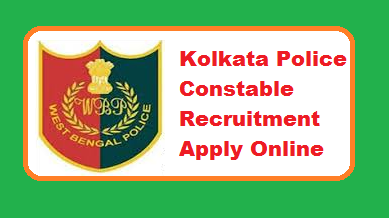 Kolkata Police Constable Recruitment 2019 Apply Online:- KPRB Recruitment Department has Recently Decided to the Released Huge number of Vacancy in Different Department. All Candidates Firstly Download the Official Advertisement and Read Very Carefully before Applying Application form. Kolkata Police Recruitment Board (KPRB) Kolkata police constable 1500 / lady constable employment notice to fill jobs. Here we discuss the Kolkata Police government Jobs Notification Briefly. West Bengal Kolkata police constable employment information. / 2019 02 / KPRB this Advertisement is Available on its portal is kprb.kolkatapolice.gov.in On February 2019 is uploaded. Qualified applicants should read the instructions before you apply before February 2019, the applicant's application online/offline are ready to submit the application. Many lakhs candidates are waiting for the Kolkata Police Constable recruitment 2019 Candidates can also search for the Kolkata Police Constable Exam Pattern 2019 and the Kolkata Police Recruitment Syllabus 2019. More about Police Constable Vacancies, Kolkata Police Department 2019 Academic Qualification, Age, Selection Process, Course Examination Pattern etc. We also provide Kolkata Police Constable Vacancies Course and Examination Pattern 2019. Candidates can modify the fully filled application form till date up to date in the official notification. This is a good opportunity to apply the Kolkata Police Constable (Male and Female Lady Constable) 2019 online for the 10th pass (secondary) candidates. Applicants can apply online KPRB Police constable and SI online form from the beginning of the Kolkata Police Constable and SI vacancy 2019 online form. Constable 1281 posts Candidates should be Possed Madhyamik 10th Class Examination under W.B.B.S.E or its equivalent examinations. Qualifications: The Aspirants must have passed Madhyamik 10th Class Examination under W.B.B.S.E or its equivalent examinations. Pay Scale: Rs. 5400-25200 (PB 2) + grade pay 2600 other admissible allowances and future chances of promotion are subject to the current rule. Selection Procedure: KPRB constable in various stages of the selection process based on merit physical measurement test (PMT), Physical Efficiency Test (PET), written test, interview, medical examination and verification of documents that will be created. Examination Fee (For all posts):- All categories of Aspirants, except those who belong to Scheduled Tribe & Scheduled Caste ( of West Bengal only), shall pay application form fees of Rs 150/- (one hundred & fifty only). No exemption of fee is available to the SC/ST Aspirants of other states. They shall be treated as the candidate of General Category. Kolkata Police Recruitment Board extends the facilities of both the online and off-line submission of applications. Eligible and interested candidates can apply online for the Kolkata Police vacancies. Latest Jobs Online Application Form. It is good news for candidates working as a constable and SI in the Kolkata Police Department that the Kolkata Police is going to release the Kolkata Police Constable and SI Jobs 2019 official notification regarding the male and female constable recruitment 2019. The last date for submission of Kolkata Police Constable Recruitment 2019 online application form has been updated soon. Contenders will be able to submit application form Offline and Online using the website www.kprb.kolkatapolice.gov.in by filling up their information including scanned photograph and signature. Candidates are advised to follow the procedure properly for applying through online. Payment of Application form Fees can be made online through payment gateway (Bill Desk) by using Debit Cards / Credit Cards / Net-Banking of any Bank. An amount of Rs. 5/- (Rupees five) only will be charged by the agency concerned (Bill Desk) as “Service Charge” for availing Debit Cards / Credit Cards / Net-Banking facility. All categories of Aspirants except Scheduled Caste / Scheduled Tribe (of West Bengal state only) shall pay Rs. 170/- only (Application form Fees: Rs. 150/- plus Service Charge: Rs.20/-) to the authorized staff of the Tathya-Mitra-Kendra. Aspirants belonging to the Scheduled Caste / Scheduled Tribe (of West Bengal only) shall pay Rs. 20/- only (Service Charge) to the authorized staff of the Tathya-Mitra-Kendra. The off-line Application Form must be downloaded using the Official Portal website ww.kprb.kolkatapolice.gov.in through any available Cyber Cafe or Personal Computer with internet connectivity. Before downloading the application form, the applicant has to click for the post he/she wishes to apply for and has to fill up the following mandatory fields to download the off-line Application Form.